Surround Yourself with the Personal Luxuries at Stunning Mauna Lani Resort, A World- Class Vacation Destination Masterpiece on the Exclusive Kohala Coast . . . From the Privacy of Your Own Luxury Residence at the Spectacular ‘Islands’ Resort. 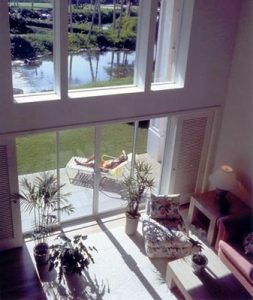 For the Discerning Traveler Accustomed to the Finest, your Big Island Vacation Getaway Features Only 46 Stunning Refined Island Villas of Impeccable Architectural Design & Appointments . . . 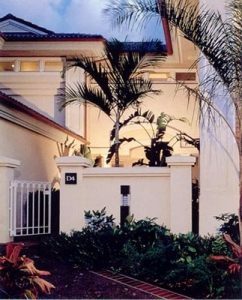 In your own Guard-Gated Community Nestled amidst Emerald-Green Fairways & Lush Tropical Grounds. Enjoy Gracious Island Living Featuring Your Choice of 2-Bedroom or 3-Bedroom Split-Level Luxury Vacation Condos Showcasing Private Courtyards, Grand Entranceways, Cathedral Ceilings, Richly Appointed Interiors and Extravagant Baths & Kitchens. 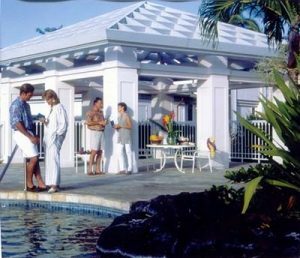 Relax on your own Private Lanai with Stunning Views, Wet Bars, Private Barbecues and Expansive Lawns . . . While Enjoying another Breathtaking Sunset. Additional Appointments Feature Private Garages, White Oak Floors, and Gourmet Kitchens finished with Granite & Marble. Each Bedroom is a complete Oasis with their own Master Bath and Sunken Tiled Tub. For your Added Vacation Pleasure, take a Refreshing Swim in our Stunning Waterfall Pool, then Relax in the Beautiful Whirlpool Spa. For the Golf Enthusiast, enjoy Championship Play at both North & South Courses – Featuring the Famous 16th Signature Hole – with Preferred Guest Rates. Our On-Site Concierge will assist you with all your Big Is1and Specialized Travel Arrangements (Activities, Sightseeing, Dinner Reservations and more). As Guests at Mauna Lani, you’ll also enjoy your own Private Beach Club & Privileges at the adjacent Racquet Club Featuring Superb Tennis & Fitness Center. Enchanting Mauna Lani Spa Offers Authentic Hawaiian Treatments in Peaceful Gardens and Soothing Spa Rooms that Capture the True Essence of Island Nature. World-Acclaimed Shops & Restaurants are Just Moments away. ASK ABOUT OUR SPECIAL PROMOTIONAL RATES & COMPLIMENTARY CAR/GIFT PACKAGE!